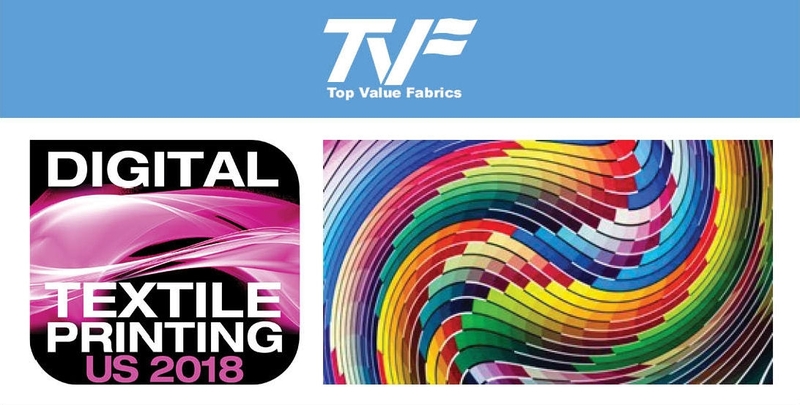 Join Top Value Fabrics at Digital Textile Printing US 2018 this June 7th-8th in Chicago, Illinois. Learn from top industry leaders why the digital textile industry is forecasted to grow by 17.5% over the next 5 years. This two-day conference will detail the current state of digital textile printing and explore the advancements and challenges for soft signage, apparel, and home applications. TVF’s Mike Sanders will speak on both the Technical Advancements in Fabrics and Innovations and Challenges in Ink Developments and Applications panels. Don’t miss out on one of the top digital textile events of the year – where you can interface with every level of the supply chain for a truly unique experience. To learn more about Digital Textile Printing US 2018, click here.